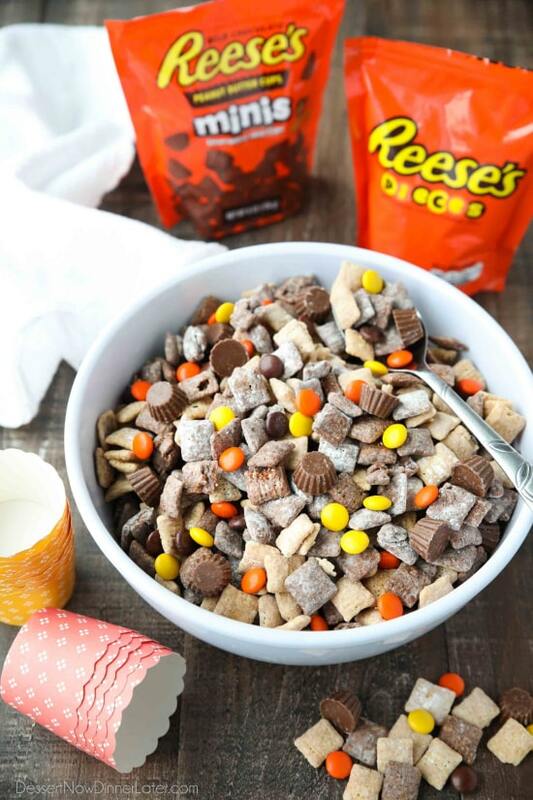 Reese's Muddy Buddies - Dessert Now, Dinner Later! 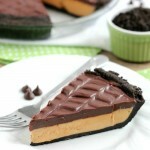 *Thanks to Reese’s and Kroger for partnering with me to bring you this delicious recipe. All opinions are mine alone. 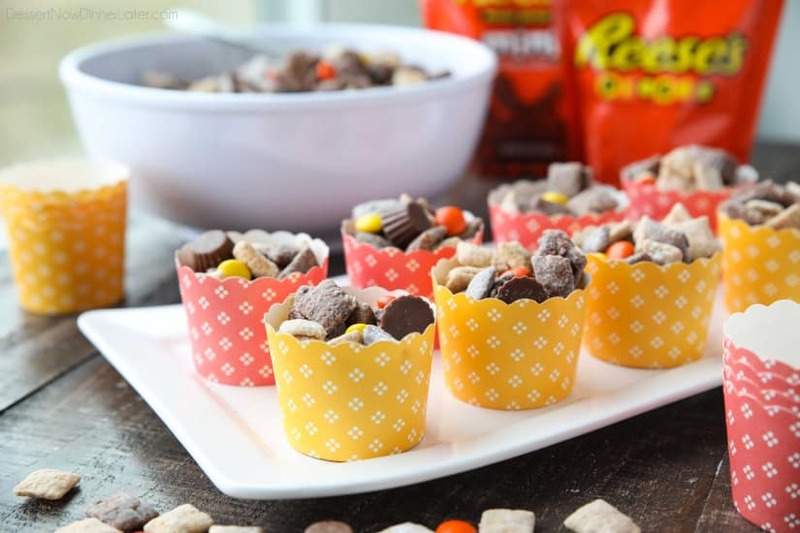 Reese’s Muddy Buddies are a twist on the classic with both chocolate and peanut butter coated cereal pieces tossed together with Reese’s Pieces and Reese’s Minis. 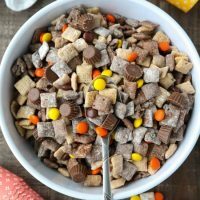 This is the ultimate peanut butter and chocolate puppy chow snack mix. 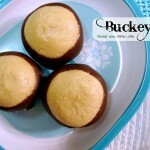 It’s March basketball season, and this quick party snack would be perfect for your viewing party! 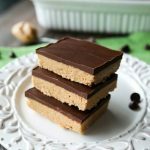 The classic combination of peanut butter and chocolate is a winner for any sport or party. I took classic Muddy Buddies, and made them better with more peanut butter and chocolate. Adding Reese’s Pieces and Reese’s Minis. (Be sure to grab a coupon!) After all, you can never have too much peanut butter and chocolate! If I’m going to watch a sport, it would definitely be basketball. We live near the college my husband and I both attended. Our basketball team was really good while we were in school. In fact, we went to a basketball game for our very first date! Lucky for us they are doing really well again this year. My kids love any excuse for a party, and for us, game day is all about the food! We love shopping at our local Kroger store (Smith’s). They’ve got a great selection of food and drinks for all our Taste of the Tournament party needs, including all the fixings for these Reese’s Muddy Buddies. Start with a small batch of classic muddy buddies. Melt chocolate chips with peanut butter and butter in the microwave. 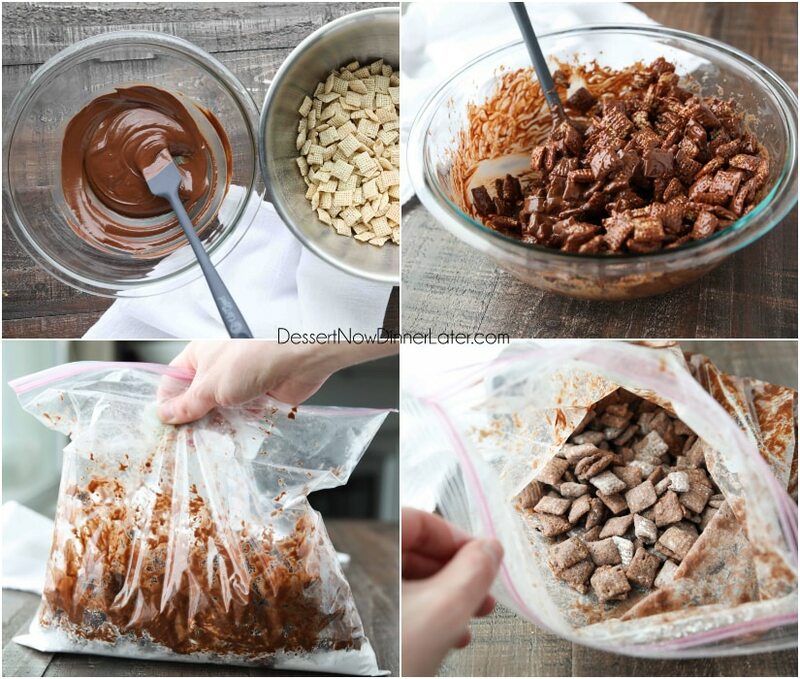 Stir in some vanilla, and coat the chocolate onto cereal squares. Then toss it all in powdered sugar. 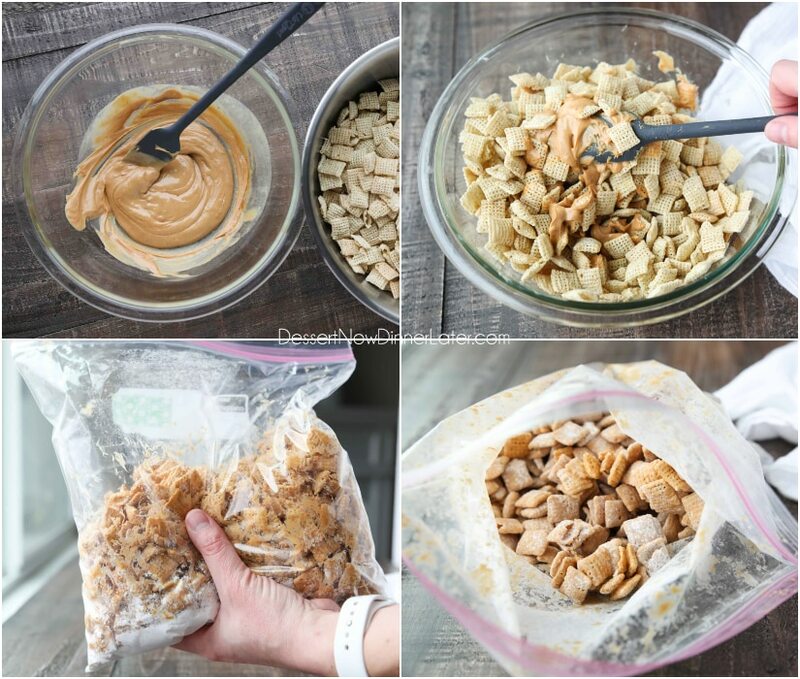 Repeat this process with a small batch of the cereal coated in DOUBLE the peanut butter by using peanut butter chips. 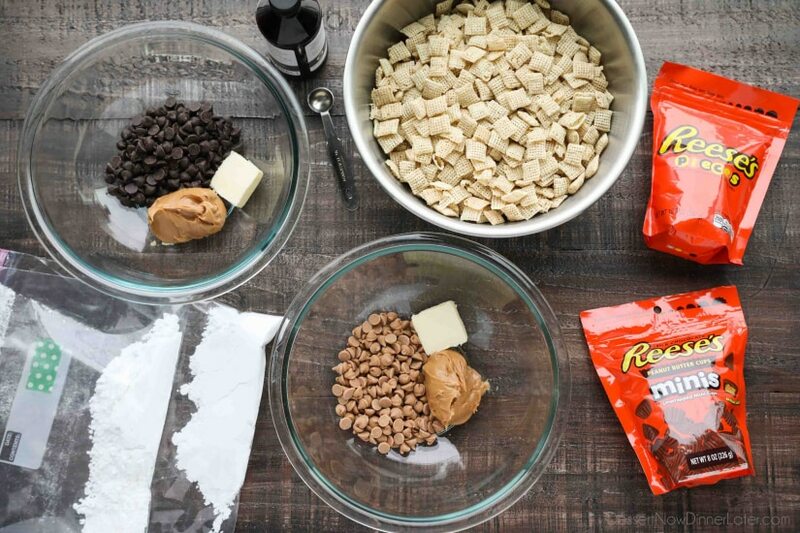 The part that makes this recipe extra delicious is the addition of Reese’s Pieces and Reese’s Minis. 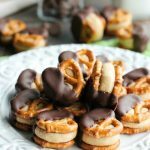 The candies add a variety of texture and make it a great snack mix. 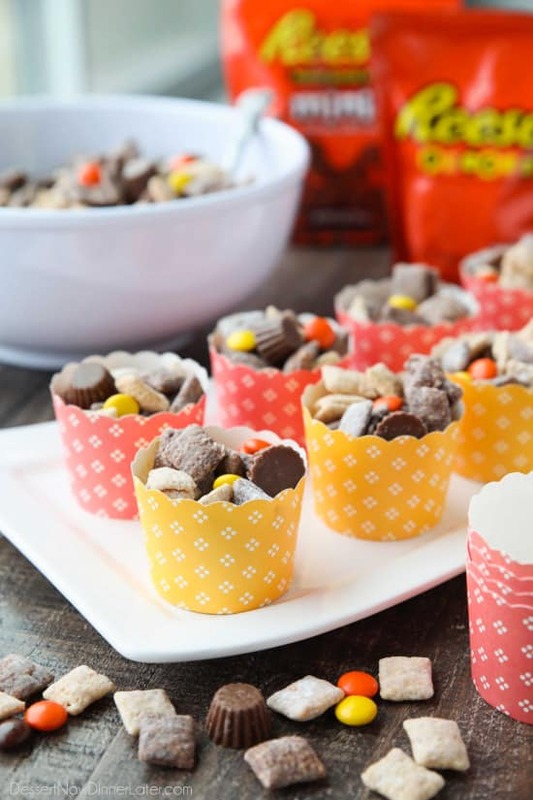 We loaded our Reese’s Muddy Buddies into little decorative cups for individual snacking. Everyone felt like the MVP! Visit www.TasteoftheTournament.com for more game day ready recipes. And be sure to share your own favorite game day recipes on social media right now with the hashtag #TasteoftheTournament. 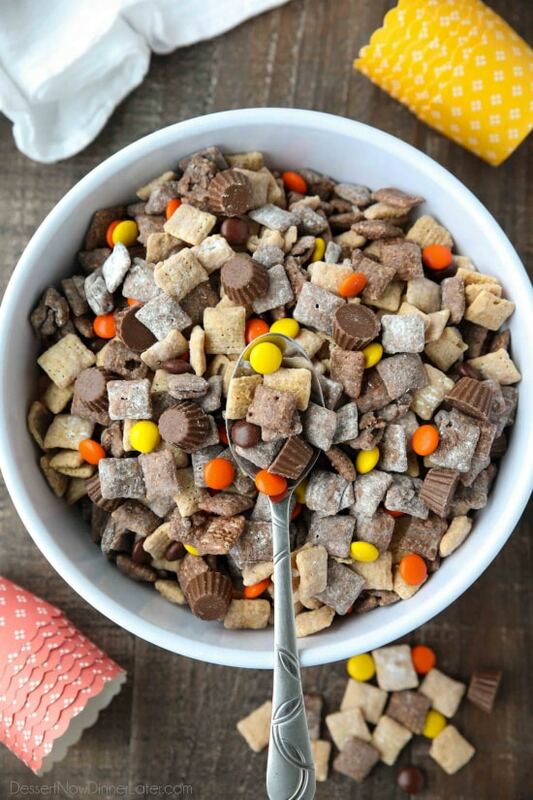 Reese’s Muddy Buddies are a twist on the classic with both chocolate and peanut butter coated cereal pieces tossed together with Reese’s Pieces and Reese’s Minis. CHOCOLATE BUDDIES: In a large microwaveable bowl, melt the chocolate chips with the peanut butter and butter in the microwave for 60 seconds. Stir until smooth. Add the vanilla and stir until incorporated. Add cereal and fold gently until cereal is covered completely. Place powdered sugar in a gallon zip-top bag. Add chocolate coated cereal. Zip bag shut and shake until fully coated. PEANUT BUTTER BUDDIES: In a large microwaveable bowl, melt the peanut butter chips with the peanut butter and butter in the microwave for 60 seconds. Stir until smooth. Add the vanilla and stir until incorporated. Add cereal and fold gently until cereal is covered completely. Place powdered sugar in a gallon zip-top bag. Add peanut butter coated cereal. Zip bag shut and shake until fully coated. 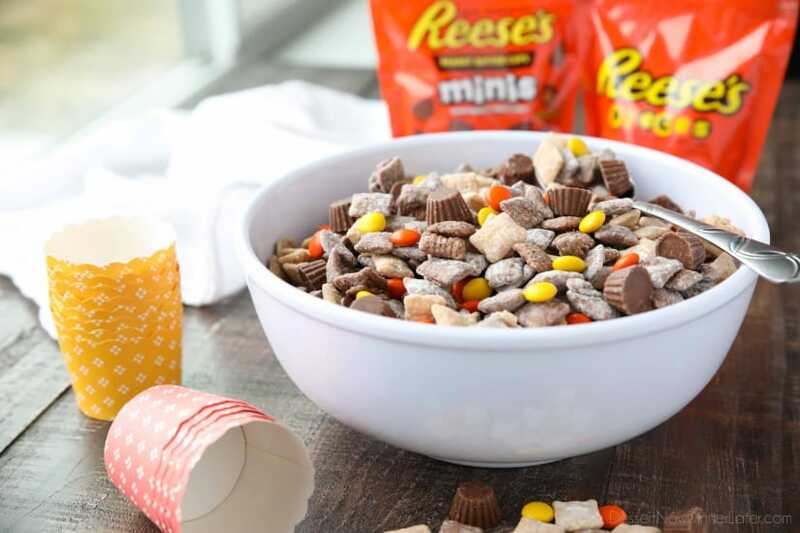 COMBINE chocolate and peanut butter coated cereal pieces in a large bowl with Reese’s Pieces and Reese’s Minis. Enjoy snacking!